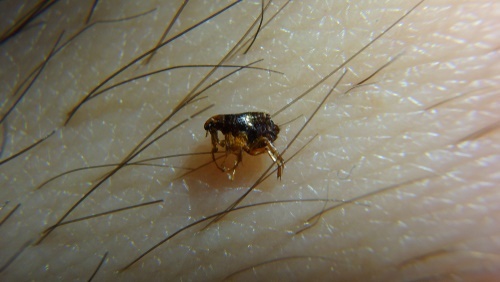 Most people realize that fleas in their home and on their pets can be a real nuisance. Not only do these mischievous little creatures cause itching for both man and beast, but they also cause embarrassment. There is nothing more humiliating then going to work or at a restaurant where your sitting right beside other people, and you scratch your head or move your arm, to reveal a flea crawling on your skin, for others to see. There is a common misconception by a lot of so called experts that fleas do not, or will not live on humans. This is not true, there is a species of fleas called: Human Fleas that do and will live on humans, in their hair. I am not talking about lice, but fleas. Fleas need warmth, food and shelter to live and be happy where they are. 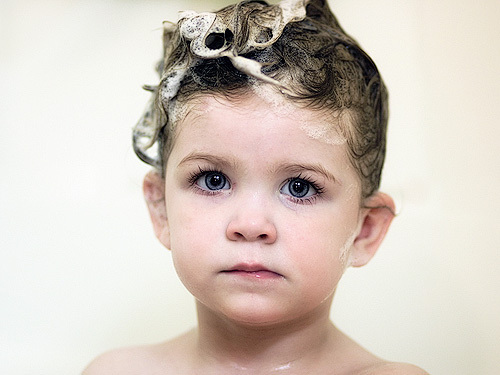 A person who does not bathe or shower frequently or wash their hair with shampoo, is a great host for fleas. And even folks that do keep themselves very clean still provide a temporarily home for flea pests. Fleas love blood, in fact it’s their food. Humans as well as pets need blood to live, and the blood both humans and pets have, also serves as a tasty food to the fleas. Fleas don’t care if they get food from a pet or a human, they love the blood of both. A lot of folks think the fleas don’t hang around people because they lack the same living conditions as pets do, this is not true. Pets have a lot more hair then humans, but humans have hair also, most have hair on their heads, some have a lot others have none. Humans also have hair under their arms, and in other private places. All of these places provide a little bit of shelter for human fleas to hide and live comfortably. itchiness – the fleabite is known to be very itchy and often needs to be treated with aloe vera gel to ease the itchiness. This is attributed to the flea saliva as it injects into the wound when it bites its victim. Tiny wounds– after scratching the bite bumps; they burst and develop into small open wounds. Itchy legs and feet– the fleas are flightless but hop from place to place. They, therefore, find low targets such as legs and feet very lucrative. Hypersensitivity– this is after scratching the affected areas until they become sore and highly sensitive to touch. Secondary infections– the person may suffer from secondary infections due to excessive scratching and wound exposure to external environments. Lavender Oil- lavender oil hosts both antiseptic and anti-inflammatory properties.it, therefore, can ease swelling, and potentially reduce itching. Lavender oil further defends against infections because of its antiseptic properties. Aloe Vera– it has soothing properties ideal for mild bites. It prevents potential scarring or further infections on the bites. Exfoliate daily– exfoliation helps the skin to stop damage by healing potential scars maintaining a personal appearance. This can be done by using sugar, coffee or other naturally occurring products. Silicone Scar Treatments– clinically, silicone treatments have proven effective in the reduction of scars over short periods. This method is ideal if you aim for a more industrialized approach to dealing with fleabites. Plant the herb, ‘ Pennyroyal ‘, around your home or kennel, it repels fleas. You may also wish to grow and keep the inside your home or apartment. Bathe pets in a mixture of warm water and ‘ DAWN Lemon Scented Liquid Soap ‘. 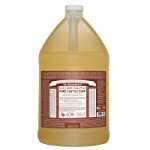 ‘ DAWN Lemon Scented Liquid soap ‘ is a great flea killer and repellent. If you have fleas coming inside, or notice them just outside your door, sprinkle a little ‘ Twenty Mule Team Borax Soap ‘, on the grass and lawn in this area. Pieces of Cedar Wood (chips) placed in the corners of rooms, under furniture and under a pets bedding keeps fleas away. The Cedar Chips placed next to a home or apartments, the doors, etc, also acts as a barrier to keep fleas out. Spray the kids and any family members legs and feet with original ‘ Avon SKIN SO SOFT Bath Oil Spray ‘, it has proven that this is a great product to keep fleas away and to stop them from biting. Instead of using strong chemicals and sprays on pets, some folks have great luck using ‘ Essential oils ‘, such as Lavender and Citronella to keep fleas away. The oils also have a healing and soothing effect on the pets skin, they help the skin and hair to detoxify and regenerate. Eucalyptus Leaves work very well for keeping fleas away, and they can be purchased online or at many health-food stores and even at some of the larger craft stores. Lemon spray repellent- try a fresh lemon. it’s a natural remedy that advises cutting a lemon into quarters, cover with boiling water, and let it sit overnight. the next day, spray the mixture on your cat or dog. make sure it does not get in his eyes, but do try to aim the spray at behind his ears, around and along the tail, and under his legs and paws. If your dog can’t tolerate spray, try rubbing the juice from a freshly squeezed lemon or orange on your dog or cat’s fur. Try to use fresh citrus and not citrus essential oil, which can be dangerous to your furry friend. hat’s the Best Flea Shampoo for Humans? Taking a daily shower, using shampoo and soap easily kills human fleas and removes them off our bodies. Most flea shampoos are designed for dogs, but there are a few that work well for people as well. 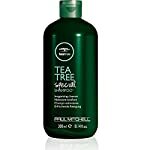 Paul Mitchell’s Tea Tree Special Shampoo is a good choice, but this generic tea tree shampoo is just as good for a portion of the price. like Adam’s on themselves. Again, if you do that – I am not a doctor or physician and it’s at your own risk!!! But besides lack of hair, humans have something that provides fleas the same shelter, clothing. Since clothing covers most of our bodies, it acts just like the hair of a pet to a flea, providing a very large place to live. Changing and washing our clothes in hot water, and drying them in a dryer, easily kills fleas and their eggs. The the best protection against fleabites is prevention. If you suspect that your house may have fleas, it is recommended that you take action to exterminate them. Using an eco-friendly exterminator is usually the first choice for many. However, for a more hands-on approach, you may use flea bombs to get rid of fleas in the house. As a precautionary measure, if you have pets, take them to a veterinary to be checked of buy flea shampoo to wash them. Most affected pets include cats and dogs and may need washing on a frequent basis to ensure they are infestation free. I try to get rid of human fleas for 2 years now. Wash clothes every day, hoover, poison, fogger, teatree oil, freezing clothes… I am allergic against them and it is hard to sleep. I tried special earth, and lots of other things, shaved hair, wash hair 4 times a day, shower often… what else can I do? They are smaller than cat fleas but the allergic reaction is very strong. I can not breath when some bite me and antihistaminica do not help. Try Epson salt diluted in water. They are vulnerable to dehydration from the salts. Not a complete answer, but may help. Well had for a long time is their else I can do? Is there a home remedy for humans? I need help please. I didn’t realize my dog had fleas until I got them. I took a shower right away. Did this help in any way? I found what looked like to be a died flea. What shampoo can I use to kill them? Non helped me.do you have a better idea of what I should do.pleas think of something.and fast. Curious to know if there was a response to anyone’s comments? 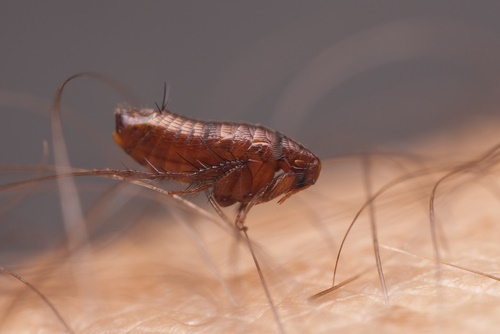 People are being told that fleas do not live on humans unless they are Human Fleas. Something new is happening and the avian stick tight flea is perfectly happy to infest humans. Cleanliness aside, they stick and are seemingly impossible to get rid of. Doctors are baffled. My heart goes out to fellow suffers. Any suggestions? So far the only thing that seems to help control without hurting is Epson salt. PLEASE HELP. I don’t know how long it’s been since I had these but there annoying. I’m really scared , I don’t want these but I don’t know how to properly treat them. I’ll try doing the things you suggested but if there are any other advice you can give I would appreciate it. Man I’ve had fleas for about a week now and honestly reading these comments are extremely discouraging. My son is going to be born any day now and I’m just trying my best to rid these damn fleas. I will update once I’ve successfully gotten rid of the pests. 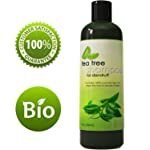 Use tee tree oil shampoo or conditioner. This works. Put clothes in plastic bags to keep fleas off the clothes. A bit of a pain, but at least they are separate. When you wash the clothes, use eucalyptus oil in the wash. The fleas hate the smell of pure oils like lavender, eucalyptus oil, tee tree oil, pennyroyal (though I have not used this) and citronella. I have even been told that garlic keeps the fleas off your body. A vet gave me some very good advise. He microwaves his clothes his towels and anything else he wears and uses for a few seconds. It kills everything and saves hours of endless washing.